Injection Molding Equipment and ASTM Pipe Standards - Bryan Hauger Consulting, Inc. If you have a great idea for paper submission for the Plastic Pipes XIX Conference taking place in Las Vegas next year, but you’ve been too busy to work on that idea, then you are in for some great news. The organizers have pushed back their deadline for abstracts from October 31st to November 15th, giving writers an extra two weeks to revise their writing, or giving procrastinators even more time to get started. If you’re interested in submitting a paper, visit the conference’s official website at http://www.ppxix.com/ to find out more and send in your work. Remember, abstracts have to be 300 words or less. The versatility of plastic pipes was showcased once more as the Plastics Pipe Institute recognized a Canadian construction project as their Project of the Year. The PPI award was given to stormwater management company Soleno for their work at a contaminated site in Montreal. The site, formerly owned by the Canadian National Railway, had a major problem with soil contamination from years of train repairs. Even with a large cleanup effort, traces of contamination still remained in the soil. The HDPE pipes used in the site won’t react with any chemicals left in the ground, in addition to the benefits of cheaper installation costs and a longer overall lifespan compared to metal or concrete. The successful project should keep the stormwater system operational for a very long time to come. Australia’s South Gippsland region is going to have a better water supply solution in the future. The Lance Creek Water Connection project, which aims to connect South Gippsland with Melbourne’s water supply, recently awarded 43 million dollars in contracts to several companies who would make a water pipeline a reality. Included in these contracts is plastic pipe manufacturer Iplex. The project is estimated to be completed in 2019. 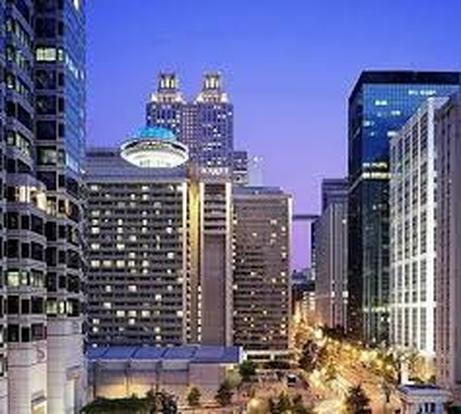 The next ASTM F17 Committee Week on Plastic Piping will be held at the Hyatt Regency Atlanta during the week of November 13th. This meeting presents a unique opportunity for users of ASTM plastic piping standards who are located in the greater Atlanta area to attend the meeting and participate in the consensus standards writing process. Although attendance at Committee Week is not a requirement for participation as a member in F17, member participation is so heavily valued by F17 that the Paul Finn Memorial Fund was established, in part, to provide financial assistance to users who wish to attend F17 meetings. The task group schedule is now available. Click Here for the Task Group Schedule. New innovations in injection molding may streamline molding operations and cut costs in the process. Colorado company Extrude To Fill, LLC has made a new injection molding machine which can heat material in an electrical barrel and then pump directly into a mold. According to the company, their new machine drastically reduces the shear from the process, and is significantly easier to operate, requiring little training. They estimate cost savings of 50 percent for the new process. To read the whole story to learn more about this new form of injection molding, check out the full article here. Plastics play a major role in the piping industry. Applications include gas and water distribution, gas gathering/oil field production, residential plumbing, rehabilitation, irrigation, drain waste and vent, fire suppression system and many others. The choice of polymers instead of traditional pipe materials is due to the advancement in pipe materials, additive technology, processing systems, material characterization and test methods. Plastics pipe and fittings SIG is soliciting papers for the ANTEC® 2018, May 7 -10th at the Orange County Convention Center in Orlando, Florida. Papers dealing with these or allied topics will be considered for Plastics Pipe and Fittings sessions. The sessions will provide a unique meeting point to discuss current trends and opportunities for any professional working on pipe and fittings area comprised of thermoplastic and/or thermoset materials. This year, the SIG is also soliciting Technical Marketing Presentations which will be organized into sessions focused on specific topical areas. These sessions are intended to be a forum where new products, processes, and services can be effectively shared with ANTEC® attendees in a timely manner. While not intended as a sales presentation, no written paper is will be required. Rather a presentation is required that will be subject to review and approval by the ANTEC Advisory Committee. We are also thrilled to announce that this year’s best presentation award will be sponsored by the SIG Organizing Committee. The award recognizes technology advancements for thermoplastic piping systems which connect communities through infrastructures in gas and water distribution, gas gathering/oil field production, residential plumbing, rehabilitation, irrigation, drain waste and vent, fire suppression systems and many others. Don’t trust the numbers. If the data doesn’t look right, then don’t believe it! All too often laboratory data is taken as gospel. The data comes back from the lab, the values are averaged, and the person writing the report, “makes up” some, albeit plausible, explanation to support the results. Granted, some pretty unusual and surprising results occur in science, some of which may fly in the face of reasonable, commonly-accepted principles --- but these are uncommon occurrences. More often than not, something is wrong and subsequently the data may not be reliable. First, check the input data (dimensions, equipment settings, etc). A simple entry error can alter the test results significantly. Next, recheck the calculations carefully. If the calculations are performed automatically by computer, performing a sample calculation “by hand” might be appropriate. A word of caution here --- it’s very easy to make the same mistake over and over again, if you’re not paying attention to the details. One thing I always try to do is to go back and inspect the individual specimens (it’s a good idea to identify and preserve each individual specimen and all its pieces after testing). A close examination of the specimens may reveal some potential explanation for the unexpected results. Sampling error can be another source of inaccuracy. We often mistakenly assume that the material we are evaluating is homogeneous and/or isotropic (having the same mechanical properties in different directions). Be concerned with specimen orientation, location of exposed surfaces, skin layers, non-uniform blending, and simple variability from specimen to specimen. If all else fails, go back and question the customer as to exactly what it was that was sent. Make sure the test equipment is functioning properly, is set at the proper settings, and that the equipment has been properly calibrated. If possible, perform a cursory check with a known standard --- stick a thermometer in the bath, hang a weight on the test cell, etc. Sample preparation can sometimes be a source of variability. Voids, contamination, or other discontinuities can act as defects in the specimen. Chips or nicks in the edges of specimens may result in stress concentrations which can significantly affect the results of a test. Be aware of anisotropic behavior that may arise from machine direction, or filler/reinforcement or crystalline orientation. Examine the cross-section of the specimen for stratification or possibly even delamination. Remember, all data has error, naturally-occurring variability. Some materials exhibit more variability then others. Don’t misinterpret normal variability as a significant difference between samples. Examine the data --- not just the averages. Is the average skewed by the results of one or two specimens? Resist the temptation to “throw out” outliers unless there is substantial evidence that the data is erroneous. Outlier data presents a rare view of the uncontrolled variability that can reasonably be expected to occur, although, it’s validity in the context of a controlled test program may require some interpretation. I always prefer to include all test data in a report, identifying outliers, and explaining why I chose to include or exclude a value in my interpretation. That allows others to use the data in some other way to either confirm my conclusion or support an alternative hypothesis. In this age of computers, most of our test equipment is becoming “computerized” to make testing more reliable and efficient. However, we often unquestionably rely on the “calculated” output without a clear understanding as to how, or under what conditions the computer actually calculates the data. In some situations, transitions can occur outside the detection range set in program, which causes the computer select the “best” point --- as opposed to the correct one. Sometimes filters are used to “average out” data variability --- the results can appear quite different from another test which did not utilize the computer filtering. Certain electronic instruments in the vicinity of the test equipment can result in a power drain or surge which can alter the electronic data being recorded. This electronic noise can be erroneously interpreted by the computer as specific events. There are many advantages to computerization --- but don’t blindly accept the results without question. Understand how the instrument performs its computations, and on what basis it makes its determinations, and always be observant to conditions which may develop erroneous electronic data. Don’t get fooled by the right answer. Review the raw data to ensure that everything looks right. Technicians quickly learn what the acceptable results are expected to be for a particular test --- this talent comes with proficiency. The technician, however, should be aware of the often unconscious compulsion to get the “right” answer. The technician should resist any attempt to interpret the numbers during the testing; rather he/she should merely report the findings, while at the same time maintaining a constant vigil for any out-of-the-ordinary occurrences which may later give some insight into unexplained variability. Anyone can develop data, however, it takes a sound understanding of the test equipment, the process, and the material behavior to properly interpret the results and provide a suitable answer to the problem.